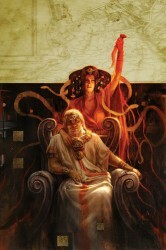 Dark Horse Comics sent Major Spoilers the cover images and solicitation information for titles arriving in November 2011. As Angel continues his quest to resurrect the dead by following leads he digs out of the Watcher’s Files, Faith has second thoughts about supporting his seemingly impossible venture. 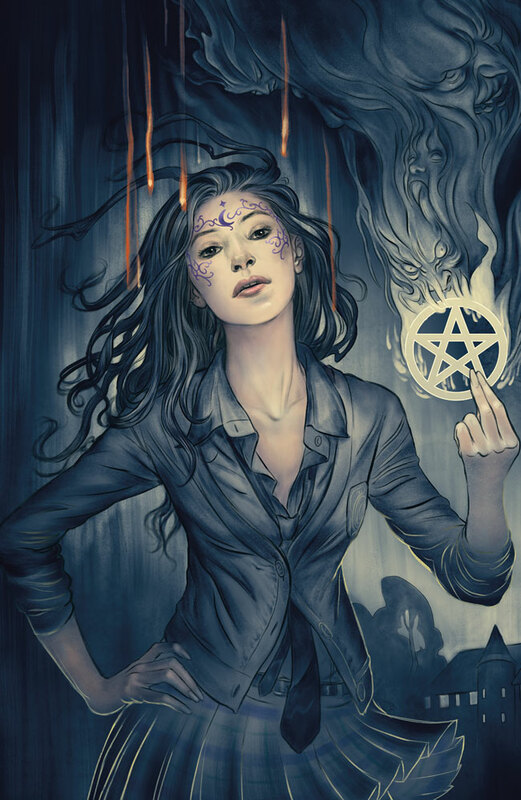 A new ally warns her to weigh the consequences—good and bad—of Angel’s endeavor. Meanwhile, amidst clubbing, mentoring, and slaying, Faith has her own concerns counseling a damaged and vengeance-seeking Slayer! There’s pressure from all sides. Can Faith handle it? 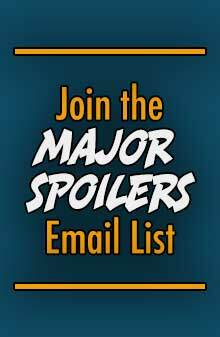 • The blood-soaked first-arc finale! • The Big Bads are here! • A horrifying take on the vampire genre! • Scariest vampire nuns EVER! 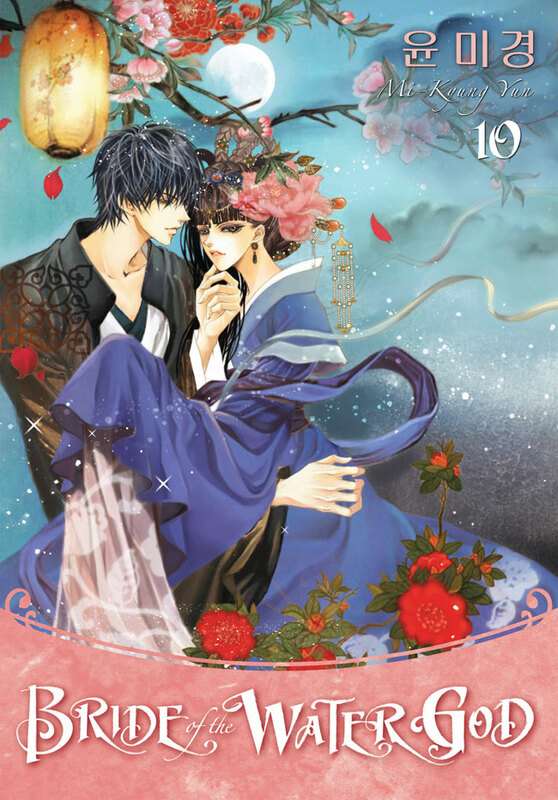 Trapped in a luxurious castle on the moon, Soah’s still separated from her husband, Habaek, who’s dealing with his own troubles in the Emperor’s fortress on Earth. 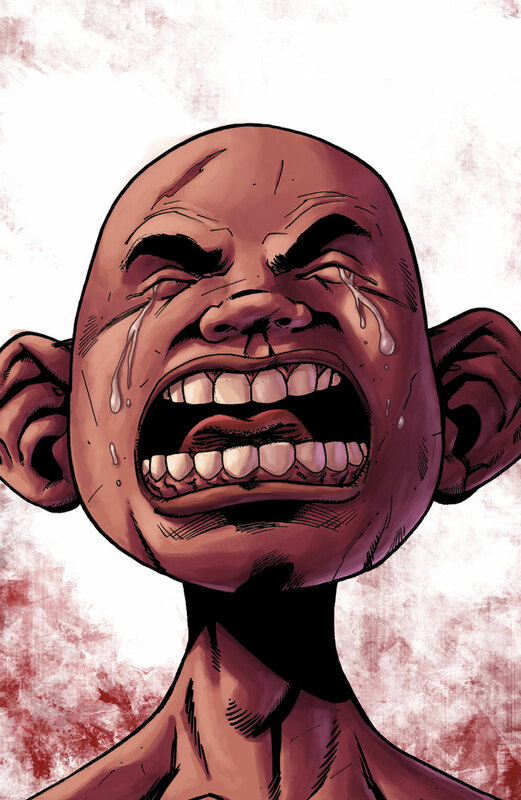 Cursed to live in the body of a child during the day—when his elemental powers are weaker—Habaek is also being manipulated by the Emperor of the gods, who wishes to use Habaek’s powers over water to turn the tide in an escalating civil war! 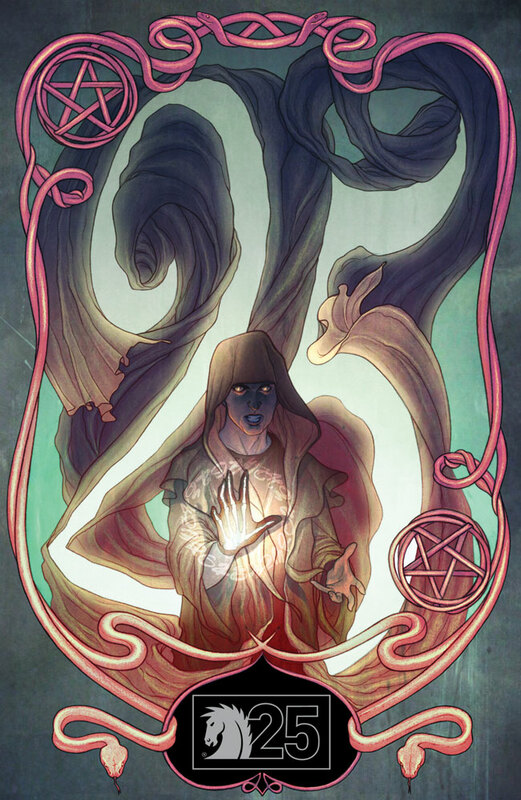 The ghost of Habaek’s former human bride, his deceptive mother, and a host of bickering, elemental gods are also in the mix, complicating Soah’s efforts to be reunited with the one she loves. 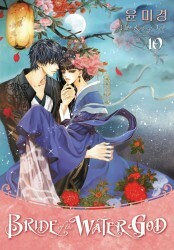 • Best-selling series in the United States and Korea—where it’s begun a run as a television series. • Winner of Best New Artist from the Dokja-manhwa-daesang organization! Young Natongo and his adopted brother Dan-El share a bond much stronger than blood, so when they learn of Dan-El’s true father and his lost people, they pledge to discover the secret of his birthright together. Their journey across Africa reveals danger at every turn, but nothing to match the shock of finding Dan-El’s home enslaved by an evil witch doctor. With only each other to fall back on, can the brothers of the spear survive battle, exile, shipwreck, and more to overthrow the usurper so Dan-El can take his rightful place as king? Collecting the backup stories from Tarzan #25–#67! 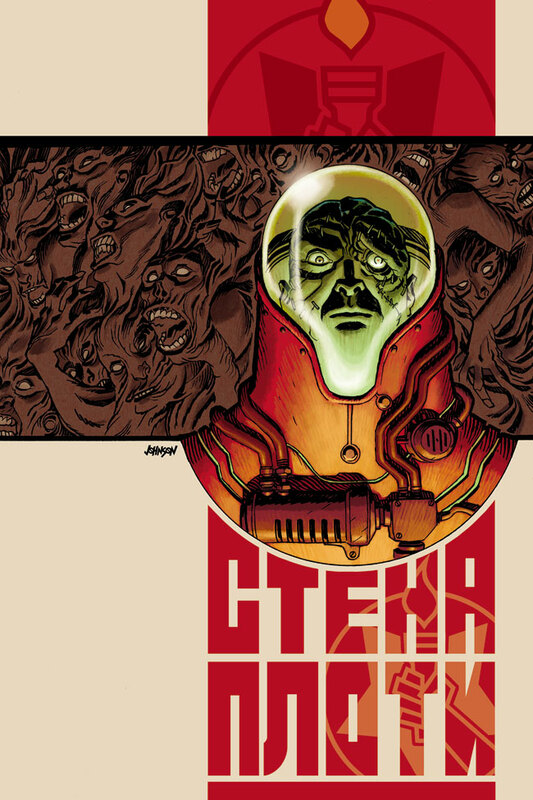 Featuring art by comics masters Jesse Marsh and Russ Manning! 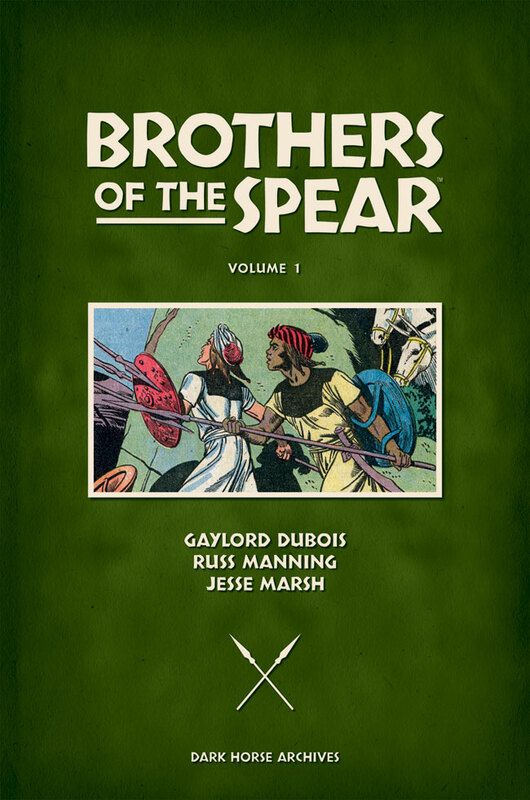 • A never-before-reprinted epic from comics’ golden age! Spike has heard rumblings. Someone, or something, is coming for Buffy—and now, after she recklessly slipped out of police custody, the SFPD is certainly looking. 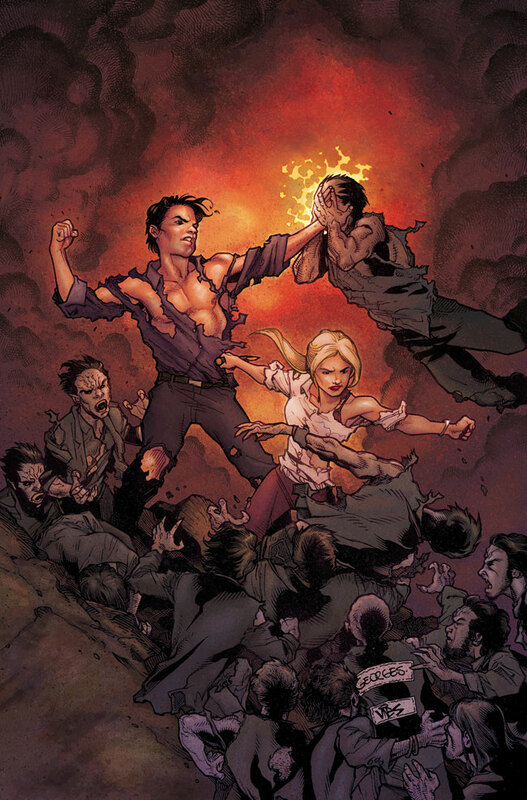 When Buffy’s family and friends deny her refuge from the cops, she turns to the streets and slaying, where she discovers there’s a new kind of vampire slayer in town . . .
• Buffy stakes her way into a new kind of trouble! 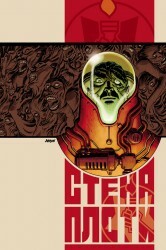 While Johann is locked in spectral combat with the spirit of a possessed prisoner of Russia’s Special Sciences Service, Kate learns about the deserted town of Rampayedik and its mysterious zombie looters. 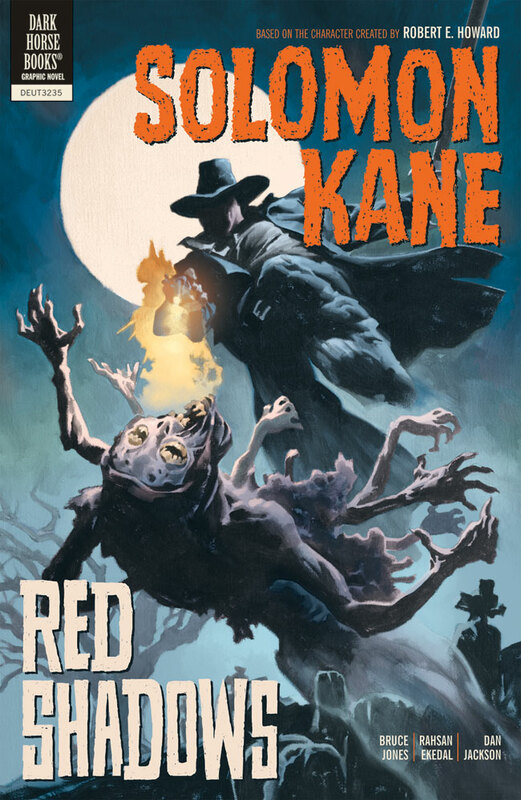 Between tracking down the vagrant followers of a prescient teen pursued by crablike beasts and dealing with a redneck priest who preaches by way of human mutilation to a trailer park populated by a cult of hillbillies, the B.P.R.D. certainly have their hands full. Can a fractured team wage a winnable war or are they fighting a battle of attrition? 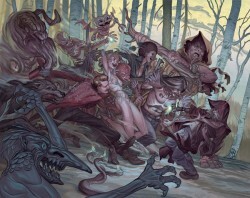 B.P.R.D. 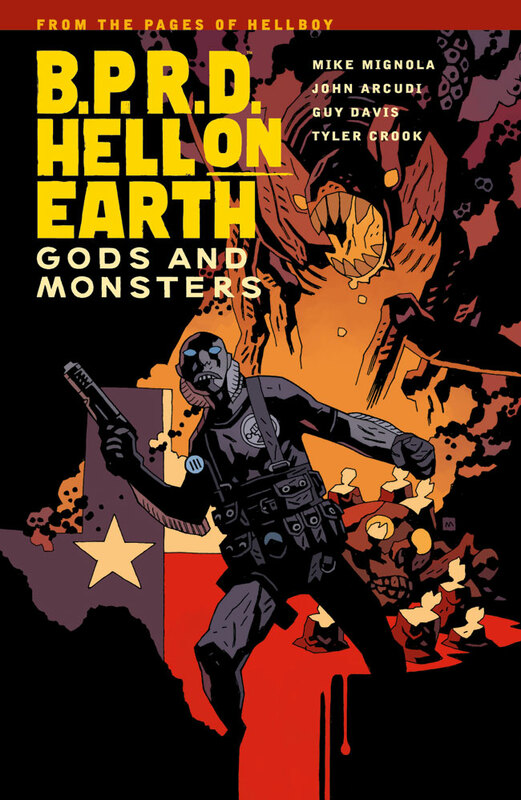 Hell on Earth: Gods and Monsters continues the series Comics Alliance calls “one of the best books on the stands.” Collects B.P.R.D. 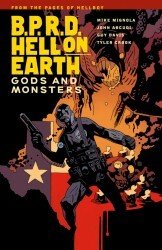 Hell on Earth: Gods #1-#3 and B.P.R.D. 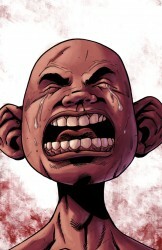 Hell on Earth: Monsters #1-#2. Appearing in 1961, the Fantastic Four was the first superhero team created by writer-editor Stan Lee and artist and co-plotter Jack Kirby. It ushered in the “Marvel Age” of comics and was an immediate success. 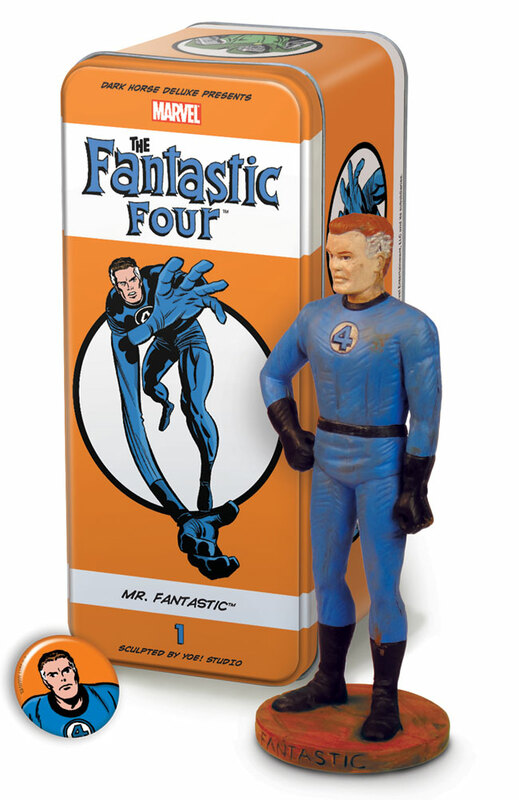 The first statuette in the Fantastic Four Classic Character series is none other than Reed Richards as Mr. Fantastic. 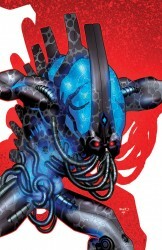 The ongoing character lineup will present these characters as they originally appeared, but they are deliberately different than what is common with a modern Marvel collectible sculpture, with features like a rougher surface texture, visible seam lines, and other slightly “distressed” aspects, such as paint application. Sculpted by Yoe! Studio. 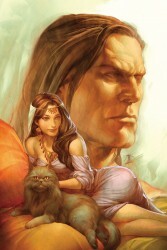 • Conan the king maker! 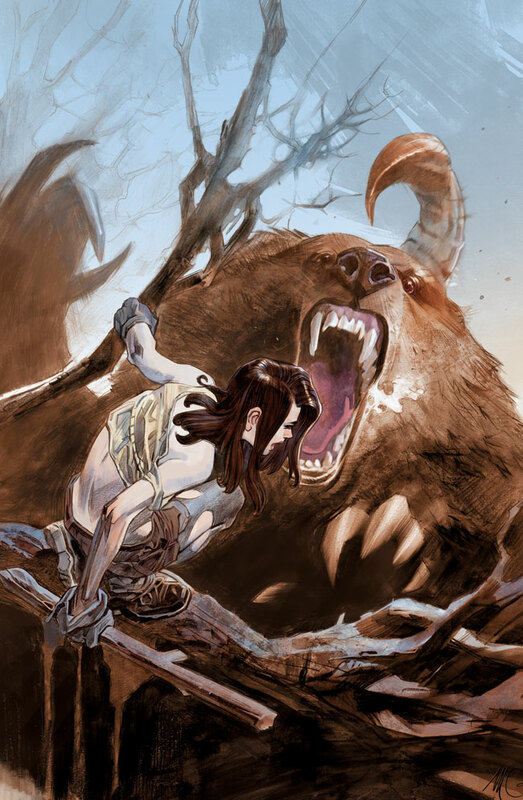 • Guest art by Dan Panosian (The Savage Sword of Conan, Ultimate X-Men)! The journey down the legendary Road of Kings is no walk in the park. Being a skilled fighter will only get you so far; you’ll also need plenty of gold to keep you going. 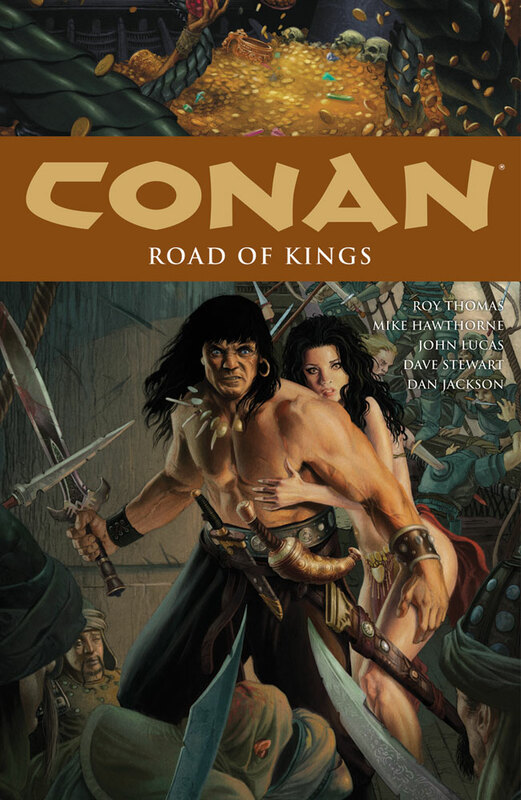 Luckily, Conan and his companions are skilled at separating the wealthy from their spare treasure! But they’ll have to brave monsters, pursuing guards, and the sword-handed Gamesh if they’re to reach their final destination. 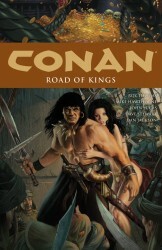 Collects Conan: Road of Kings #1-#6. 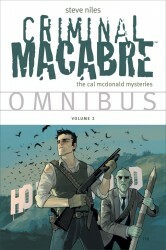 Cal McDonald, the pill-popping, alcoholic antihero of the hit Criminal Macabre series, is back! 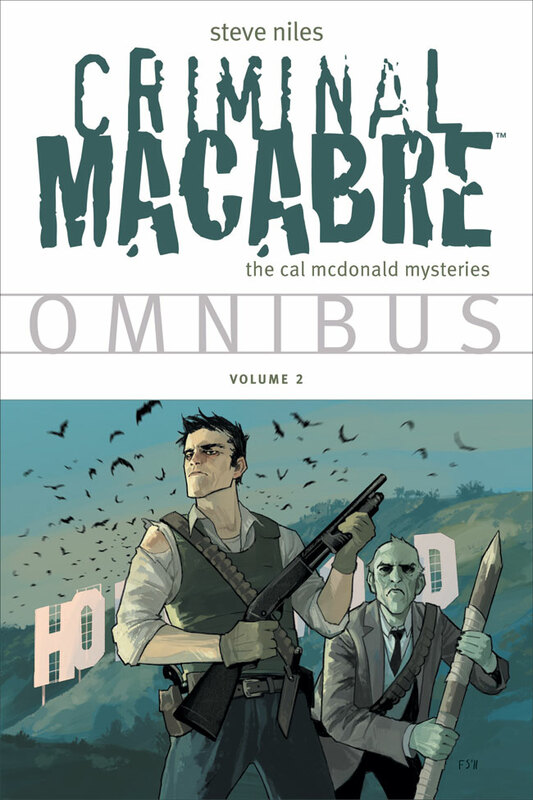 Teamed with his undead partner Mo’Lock, Cal protects the sin-infested streets of Los Angeles against a growing horde of zombies, vampires, and occultists! 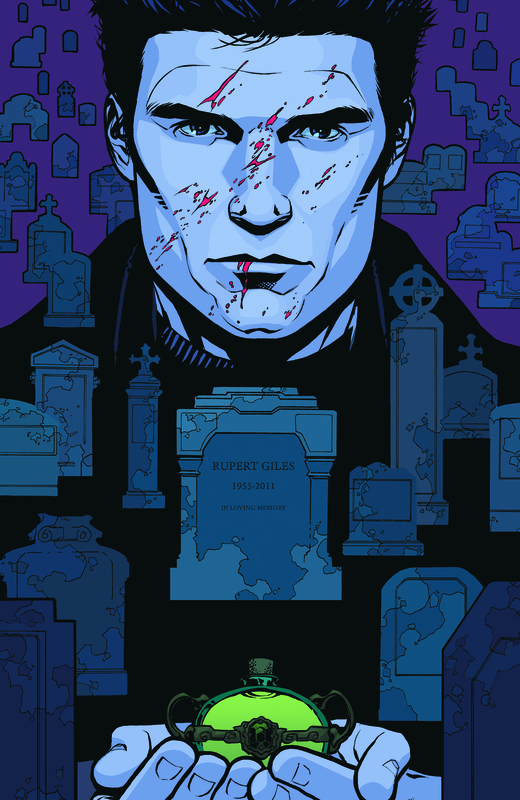 This trade collects Criminal Macabre Volumes 4-6, the one-shot story Feat of Clay, “The Creepy Tree” and “The Trouble with Brains” from MySpace Dark Horse Presents, and “Hairball” from Dark Horse Presents #102-#105, featured in color for the first time! • From the creator of 30 Days of Night. Just when you thought it was safe to go back in the comic shop, Dark Horse unleashes another monstrous volume of comics from today’s greatest creators! Boasting a brand- new story by Brazilian wunderkind Fábio Moon, this volume also features the second of three new Beasts of Burden stories by Evan Dorkin and Jill Thompson! 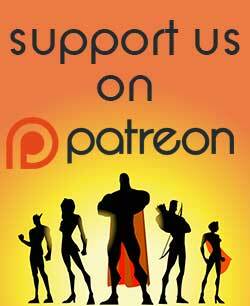 Throw in continuing stories by Steve Niles, Robert Love, David Walker, Carla Speed McNeil, Filipe Melo, Peter Hogan and Steve Parkhouse, and Howard Chaykin, and you’ll find yourself on the receiving end of another eighty-page dose of ad-free thrills! 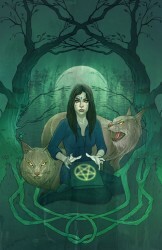 • A brand new Beasts of Burden story and a new short by Fábio Moon! The Disney Comics & Stories series depicts the characters as they were originally presented in the comics, but they are also somewhat more rough-hewn than is common, with features including rough surface textures, visible seam lines, and other slightly “distressed” aspects. Sculpting by Yoe! Studio. 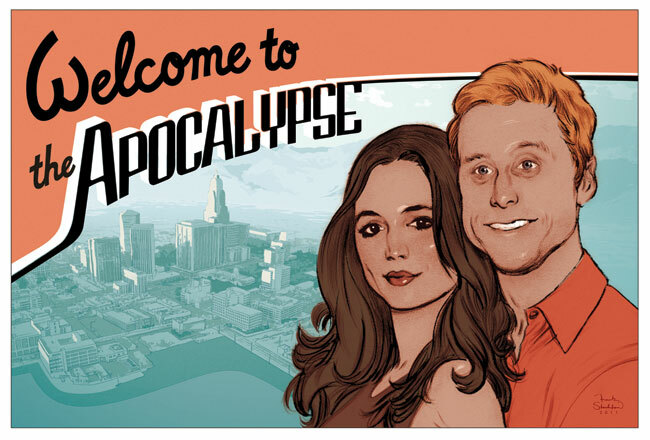 The Rossum Corporation’s tech-induced apocalypse has spread worldwide. Now that the majority of the population is either a mindless killer or a mindless member of a makeshift army, Rossum is once again directing their attention to capturing Echo. At the edge of Rossum’s HQ, Alpha’s small army of “dolls” are also attempting to find Echo—she’s humanity’s only hope for survival. Meanwhile, in Los Angeles, Mag, Griff, and Zone organize their new recruits to take down a radio tower that broadcasts Rossum’s Wielder imprint. 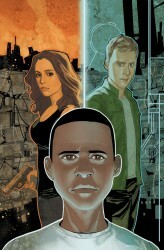 • Eliza Dushku’s Echo joins the adventure! 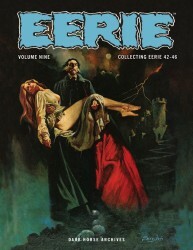 Eerie Archives Volume 9 collects issues #42-#46 of the original Eerie magazine run. 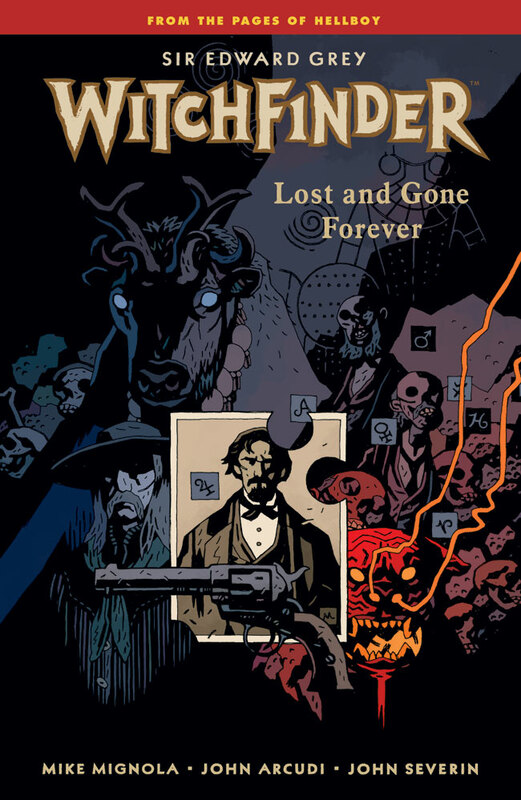 This volume features classic stories from comic-book legends Richard Corben, Doug Moench, Reed Crandall, and Paul Neary, color covers by Luis Dominguez and Sanjulian, as well as mind-melting contributions from Eerie regulars Tom Sutton, Steve Skeates, Esteban Maroto, and Jerry Grandenetti. Whether traveling through space in “Someday” or trapped in a mad scientist’s greenhouse in “The Root of Evil,” you’ll be mesmerized by these timeless tales of horror! This collection also reprints all color stories, letters pages, and articles from the original magazines and features a new foreword by Timothy Truman (modern Creepy, King Conan). 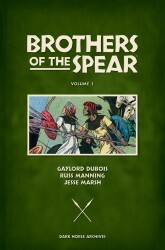 BROTHERS OF THE SPEAR TM and Copyright © 2011 by Random House, Inc. Under license to Classic Media, LLC. All rights reserved. Eerie © 2011 New Comic Company. • The magical world of New York Times best-selling authors P. C. Cast and Kristin Cast comes to comics! • Five million novels sold and legions of loyal fans! Space station Omega is under attack by bizarre creatures from the center of the galaxy! Aria T’Loak, pirate queen of Omega, leads the charge against the grotesque invaders, but when the true threat behind them is revealed, Aria is forced to regroup and form a new strategy—or risk losing everything! • An essential lead-in to Mass Effect 3! 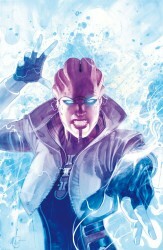 • Preview Mass Effect 3 at MassEffect.com! 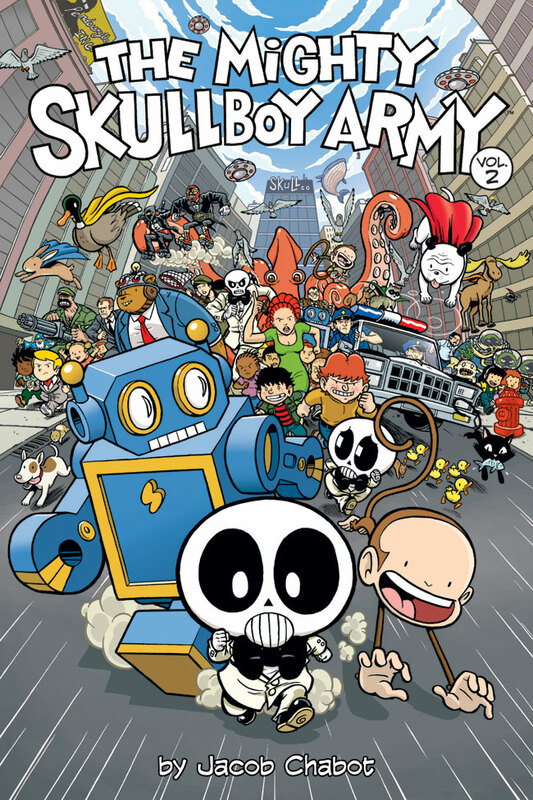 Skullboy is back with a second volume of manic fun, and the robotic, rascally Unit 1 and super-smart, simian Unit 2 await his orders. 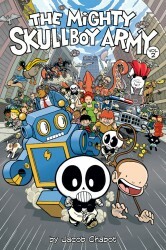 They’re ready to face any challenge that comes Skullboy’s way, from dodge balls to monster brawls—but are you ready? Are you ready for necktie-wearing bears in thinking caps, ninjas in tuxedos, police chases, giant squid battles, time-travel showdowns, not-so-evil duplicates, vengeful pigeons, flying dogs, wrestlers, jungle commando clashes, and more? Well, are you?! That dull expression on your face doesn’t fill me with much hope. Well, when you can finally muster the courage and buck up, fill out that Skull Co. application and wait right here. Our secretary will be with you shortly. • Jacob Chabot returns with another hilarious collection of Skullboy short stories! 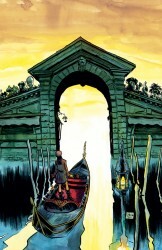 • 2008 Eisner Award-nominee for Best Publication for Teens! Don’t say “crazy”! The campus culture festival is coming up for the students of Class 2-A, and in manga these days that means not only cosplay, but starting an all-girl band! But what are they supposed to do about the fact that the keyboardist, Shinji, isn’t, um, a girl? Well, that’s when it’s time for a little crossplay! Plus, a special bonus 4-koma (four-panel gag strip) feature! 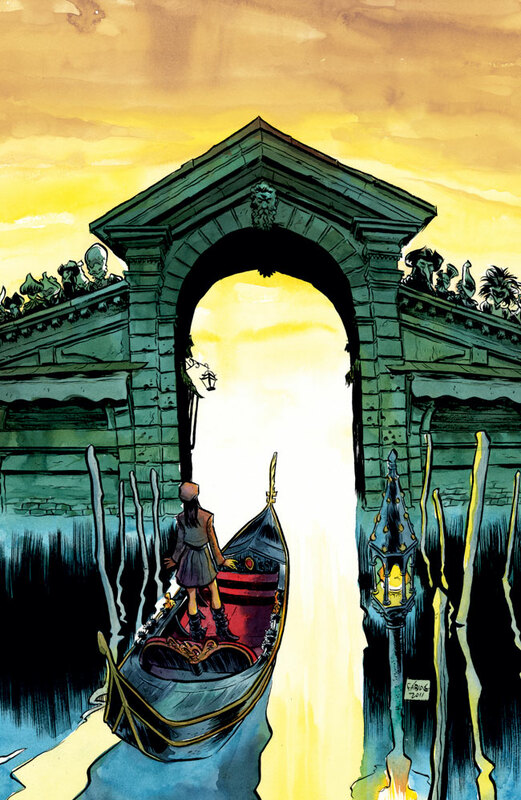 Each volume contains four opening pages in full color, fan art, letters, and giveaways! • The new anime movie is available from Funimation. 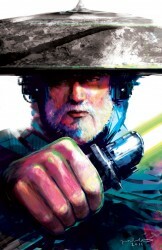 © OSAMU TAKAHASHI 2011. © GAINAX • khara. 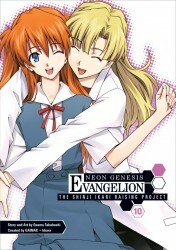 First published in Japan by KADOKAWA SHOTEN Publishing Co., Ltd., Tokyo. English translation rights arranged with KADOKAWA SHOTEN Publishing Co., Ltd., Tokyo, through TOHAN CORPORATION, Tokyo. 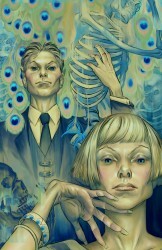 • From the mind of Dark Horse founder Mike Richardson (The Secret, Cut, The Mask)! 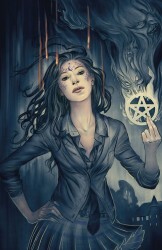 • Cover by Steve Morris (Serenity, Dollhouse). Orchid, along with her little brother and an unexpected ally named Simon, find themselves in unknown territory after they’re captured and sold by slave traders. Headed toward the feared Fortress Penuel, Simon must mount an escape plan if he’s going to rescue his rebel comrades and return the mysterious and powerful mask of General China to its rightful owner—a saint believed to save the oppressed from the wicked Tomo Wolfe. • A violent, revolutionary fantasy with a soundtrack by Tom Morello (Rage Against the Machine). 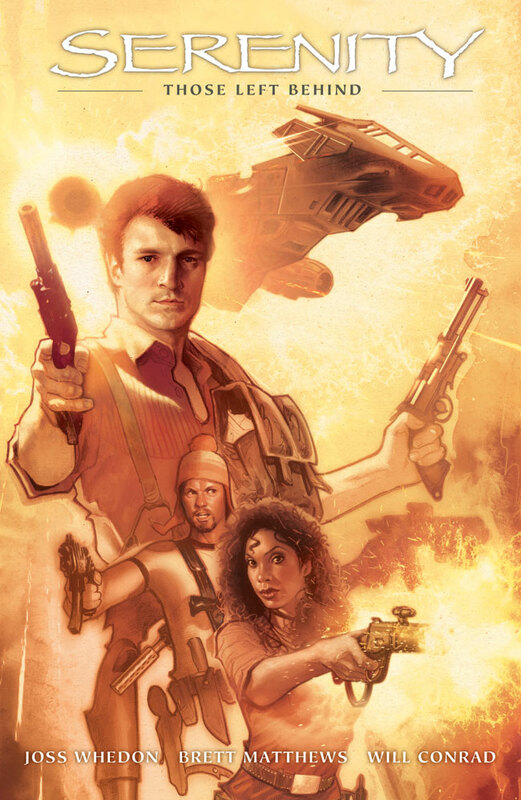 The ragtag crew of Serenity—mercenaries, fugitives, and one law-abiding prostitute pursue fast cash and a little peace along the fringes of space. On a scavenger mission that promises a big payoff, they realize too late that they are being played by an old enemy with a grudge. 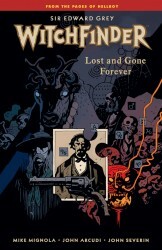 • A new hardcover edition, featuring the extras previously only available in the limited deluxe edition! • Written by series creator Joss Whedon and show writer Brett Matthews! Solomon Kane faces two of his greatest foes in Africa! Seeking to avenge the horrible murder of a young girl, Solomon Kane chases the feared swordsman Le Loup across the globe, where he finds the villain in league with Songa, the powerful leader of a deceived jungle tribe. Kane finds an ally in the frail, ancient form of magic man N’Longa—but will the old, deposed witch doctor really be able to challenge Songa and save Solomon’s life? 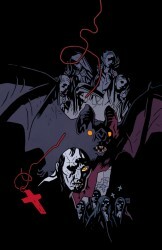 Collects the four-issue miniseries. Solomon Kane: Red Shadows © 2011 Solomon Kane Inc. (“SKI”). SOLOMON KANE, and related logos, characters, names, and distinctive likenesses thereof are trademarks or registered trademarks of SKI. All rights reserved. Kir Kanos, the last surviving member of Emperor Palpatine’s Royal Guards, has been “invited” to join a cadre of Imperial officers intent on returning the Empire to its former glory. 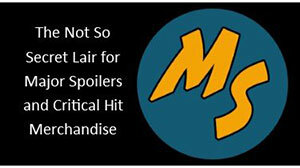 Meanwhile, the rising New Republic comes under fire when assassins put Kanos’s adversary (and occasional romantic interest) Mirith Sinn in the crosshairs! • Kir Kanos, Royal Guard and Imperial badass! In a desert wasteland, it comes to a showdown. 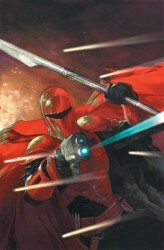 Using Jedi Dass Jennir’s friend Ember Chankeli as a pawn and his own tracking droid as a secret weapon, cold-blooded assassin Falco Sang believes he has the contest rigged. But what he hasn’t counted on is not one, but three willing sacrifices. How can you win against opponents who will risk everything? • Duel in the desert! • Ties directly into the New Jedi Order novels from Del Rey! 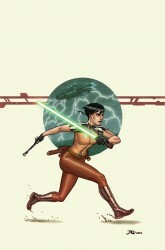 Kerra Holt has her Jedi work cut out for her! As crime lord Zodah the Hutt’s massive Stormbringer vessels flood Kerra’s homeworld with rain, she does her utmost to herd the listless inhabitants to the safety of higher ground. Meanwhile, Sith Lord Daiman doesn’t appreciate Zodah destroying a world that belongs to him! 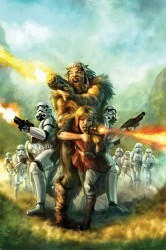 Soon, Kerra will have two armies to fight! • Double the action! Double the Deluge! The best-selling saga ends here! 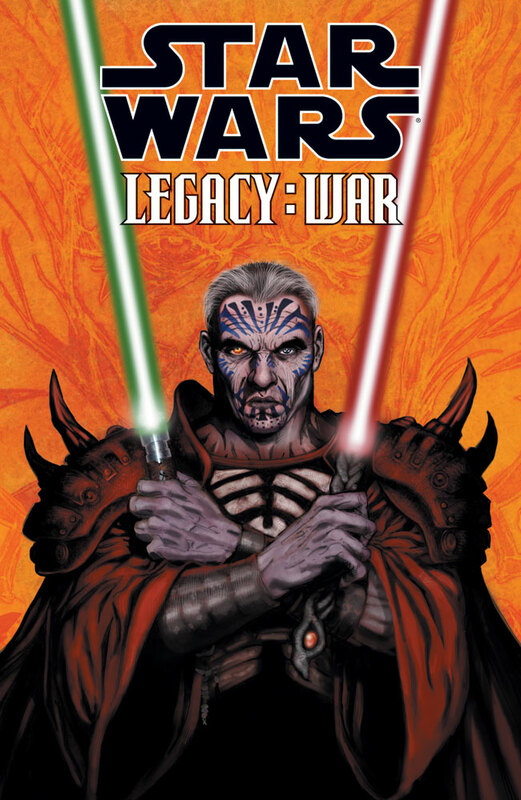 It’s an all-out war as the Sith emperor returns from the dead—stronger, more evil, more determined, and prepared to unleash a new secret weapon upon the galaxy! Roan Fel’s loyalist Imperials, the Galactic Alliance, and the Jedi are all on the defensive—reeling from the attacks by the unified Sith. 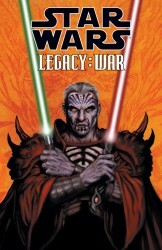 But Cade Skywalker has his own plans for this war—all this time spent running from his legacy has finally shown him that he can’t run . . . and he must stand alone against Darth Krayt! 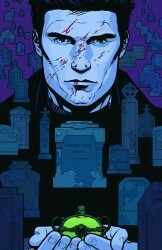 Collects the six-issue miniseries. 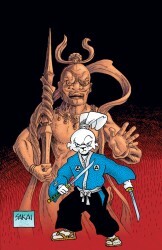 The rabbit ronin becomes an unsuspecting participant as two lords engage in a dangerous, high-stakes gamble. With a state visit from Lord Hikiji nearing, the lords engage in a game of death and honor in which the whole countryside is the playing field. What a time for Usagi to be in the area . 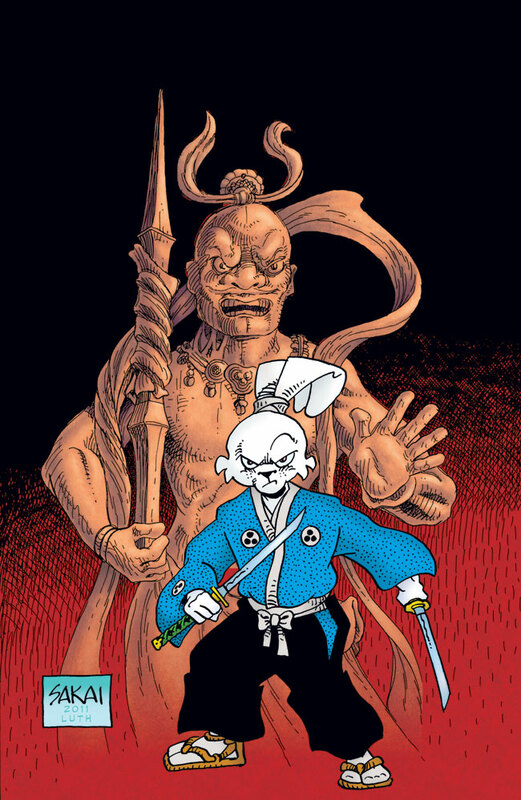 . .
• A tale involving Lord Hikiji, the murderer of Usagi’s master! • Cover art by Mike Mignola! • John Severin’s weirdest western yet! 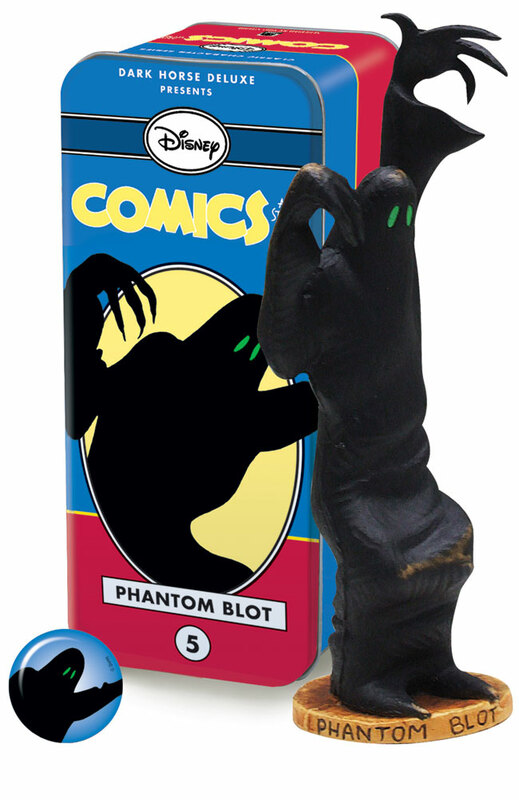 I’m so going for a Phantom Blot!